Xbox One could launch on November 8, according to a leaked email said to have originated from a source close to retailer Walmart. The email was apparently sent to Kotaku by an individual who works at the marketing company responsible for Walmart signage and product placement. 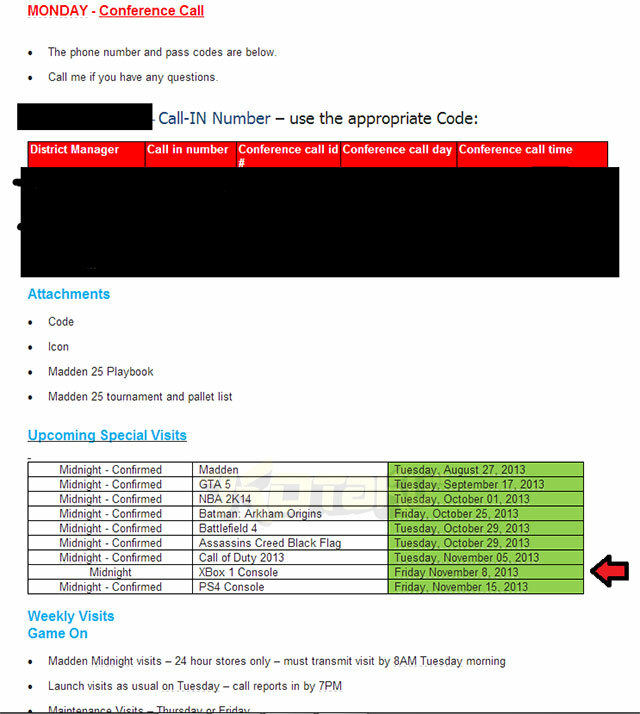 The November 8 date is said to come from an email that details a company conference call, which is intended to cover all of Walmart’s planned midnight openings for Xbox One’s launch. You can find an image of the email here. Note that Xbox One’s launch date has yet to be confirmed, so again, treat this as rumour. PlayStation 4 on the other hand, is confirmed for a November 15 launch in the States.